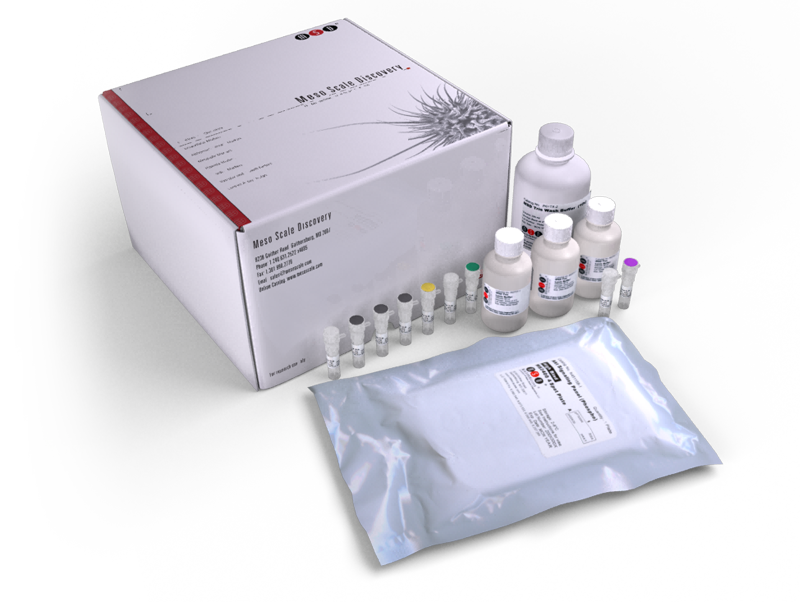 The V-PLEX Human Biomarker 54-Plex is optimized for long-term and multi-site biomarker studies that require reliable, reproducible results with lot-to-lot consistency. The V-PLEX Human Biomarker 54-Plex includes 54 key analytes that are important in inflammation response and immune system regulation as well as numerous other biological processes. To learn more about the advantages of V-PLEX assays click here. Calibration curve accuracy and precision for each analyte in the V-PLEX Human Biomarker 54-Plex were assessed and the representative data are presented below. Description -The 54 assays in the V-PLEX Human Biomarker 54-Plex are provided in seven multiplex panels— Proinflammatory Panel 1 (human), Cytokine Panel 1 (human), Chemokine Panel 1 (human), Angiogenesis Panel 1 (human), TH17 Panel 1 (human), Cytokine Panel 2 (human), and Vascular Injury Panel 2 (human). The panels are optimized to achieve the highest level of performance from each assay, providing efficient biomarker screening and profiling without compromising performance. These panels are composed of assays against human cytokines and chemokines that are involved in many biological processes such as inflammation, the Th1/Th2 pathway, chemotaxis, the Th17 pathway, angiogenesis, and immune system regulation. As a result of their association with such a wide number of diseases, these assays are the subject of drug discovery projects, diagnostics development, and basic research. The 54-plex panel can be initially used as a screening panel to identify relevant biomarkers that can then be assembled into a custom panel for long-term studies. Disease Research Focus - Wide ranging, including autoimmune conditions, cancer, intestinal inflammation, obesity, heart disease, asthma, cardiovascular disease, bacterial infections, and fungal infections.